Carbohydrates are vital source of energy for the body. Hence, proper intake of carbohydrate is mandatory to maintain energy level. During digestion, carbohydrate is changed into glucose and then it is used to provide energy to the cells, organs and tissues in the body. Carbohydrates are obtained from plants and dairy products in form of sugar, starch and fiber. It can be categorized into simple and complex carbohydrates as per their chemical structure. Simple carbohydrate includes sugar content that is naturally found in fruits, vegetables and dairy products. Besides, it also includes sugars which are added to any food product during refining and food processing. While complex carbohydrates include starch and fiber content found in whole grains, cereals, vegetables and legumes. There are many foods that contain rich amount of carbohydrate and help provide energy to the body. 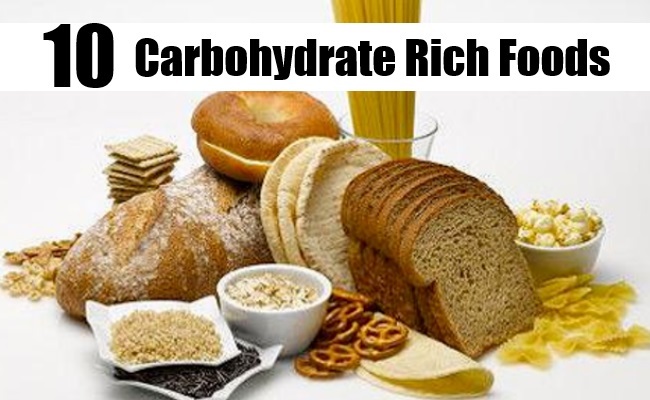 Just check out under listed carbohydrate rich foods to find out the suitable options to add in your daily diet. Potatoes are well known for being an excellent source of carbohydrate. They contain high content of carbohydrate in form of starch. Potatoes are also good source of potassium, vitamin B6 and C, iron and fiber. Approx. 31 gm carbohydrate is found in each one cup serving of boiled potatoes. Potatoes are sodium free with low content of cholesterol and fat. Thus, they are full of nutritional values and provide ample energy to the body. Another carbohydrate rich food item added on this list is whole grains. One of the richest source of carbohydrates, whole grains contain significant amount of starch and fiber that make them healthy and nutritional energy booster. Whole grains such as rice, wheat, corn, oats, barley, and buckwheat contain complex carbohydrates that help improve digestion and weight management. Berries are one of the superfoods that are widely known for their health benefits. Great source of antioxidants, delicious and delectable berries also contain significant amount of carbohydrate and thus act as natural energy and immunity booster. Blueberries contain higher amount of carbohydrate than other berries like strawberries and blackberries. 1 cup serving of blueberries contains 21 gm of carbohydrates. Watermelon is known as good source of vitamin C and beta carotene. It contains powerful antioxidant properties and high content of water. Besides, this healthy fruit is also one of the carbohydrate rich foods that provide energy to the body. 1 cup serving of diced watermelon provides upto 11 gm content of carbohydrates. It helps prevent cataract as well as improves eyesight. Sweet potatoes contain significant amount of carbohydrates. Healthy and tasty sweet potato contains various healthy nutrients including vitamins A, B5 and C, dietary fiber, potassium and manganese. Low in sodium, cholesterol and saturated fat, sweet potatoes are much beneficial in maintaining energy level of the body. Cereals contain high amount of carbohydrates. Cereals also contain various nutrients such as fiber, protein, B vitamins, zinc, and iron. Most of the ready to eat cereals are packed with good amount of sugar and contain higher amount of carbohydrates than homemade cereals. However oats are considered to be richest source of carbohydrates as compared to other cereals. Legumes are also one of the rich sources of carbohydrates. Legumes contain good amount of healthy dietary fiber, proteins, vitamins, minerals and omega 3 fatty acids. Apart from being an excellent source of protein, nuts and legumes also contain complex carbohydrates that help maintain energy level of the body. Banana is another carbohydrate rich food that provide high amount of sugar to the body. It contains high content of fiber, sugar, potassium, vitamins B6 and C that make it full of health benefits. 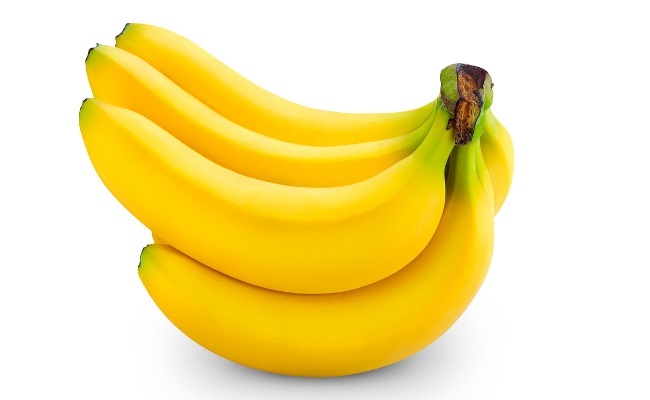 One banana contains 24 gm of carbohydrates content. Hence, banana is mostly added to breakfast to boost and maintain energy level of the body. Due to its rich carbohydrate content, this healthy fruit is also added to daily diet for easy and fast weight gain. Brown rice may help you obtain significant amount of carbohydrates. Being one of the richest sources of carbohydrates, brown rice contain higher amount of healthy nutrients like fiber, vitamins and minerals than refined white rice. Glycemic index of brown rice is lower and thus nutrients and carbs found in brown rice are absorbed slowly. One cup serving of brown rice contains 45 gm of carbohydrates. Being full of health benefits, Apple is one of the most popular healthy superfoods. This healthy wonder contains phytonutrients, antioxidants and significant content of carbohydrates. Thus, apple acts as natural health booster and provides proper nutrients and energy to the body. One medium sized apple contains 23 gm of carbohydrates content.